I thought it would be worth exploring the interrelated topics of repository groups, web groups, system session variables, Delivers, the SA System subject area, and My Account. Last week we had the privilege of working with Oracle and McDonalds to deliver some educational content around Oracle BI Financial Analytics. The main focus was on best practices and how to help other users focus on best practice metrics, reducing TCO (total cost of ownership), improving performace, and intergration with other enterprise systems. 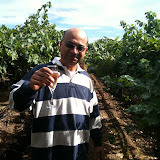 On Sunday of Oracle OpenWorld week, guests joined KPI Partners on an exclusive full day winery tour through Napa Valley. Participants were transported via executive limo bus from San Francisco, provided tours of 3 Napa Valley wineries, and experienced a four-course lunch overlooking the hills of Napa. On Monday evening, all clients, partners, prospects, and friends were invited to join us for good times, good music, complimentary cocktails and appetizers inside the Roundabout Theater @ Zeum. 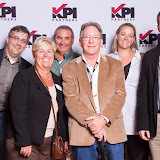 ORACLE OPENWORLD, San Francisco, CA – October 3, 2011 – KPI Partners, a member of the Oracle® PartnerNetwork, is honored to be selected as Oracle’s 2011 recipient of the North America Titan Award in the ‘Business Intelligence Application Solution’ category. The awards are presented on Tuesday, October 4th during the Oracle North America Partner & Titan Award Gala held at San Francisco’s City Hall. KPI Partners has developed a pre-built analytic application specifically designed for standard repair processes. 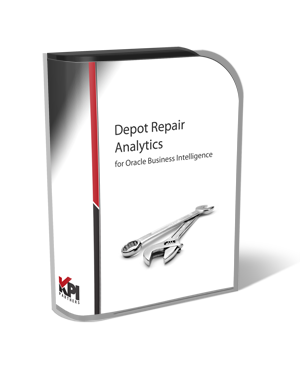 San Francisco, California – October 2, 2011 -- KPI Partners today announced the introduction of Depot Repair Analytics for Oracle Business Intelligence, a solution developed for use with the Oracle Business Intelligence platform and the Oracle E-Business Suite Depot Repair module. KPI’s Depot Repair Analytics enable any organization to monitor and report on repair processes throughout the entire life cycle. Key analytical areas include Repair Orders, Estimates, and Shipping & Billing. 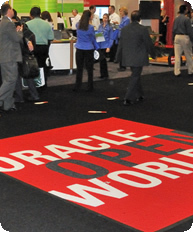 San Francisco, California -- October 1, 2011 — KPI Partners, a leader in Oracle Business Intelligence (BI) and Enterprise Performance Management (EPM), will be attending and exhibiting at Oracle OpenWorld 2011 from October 2-6. Leadership from KPI Partners will be on hand to discuss the company’s exclusive pre-built analytical solutions for Oracle BI, their award-winning solutions, and their EPM/Hyperion practice.